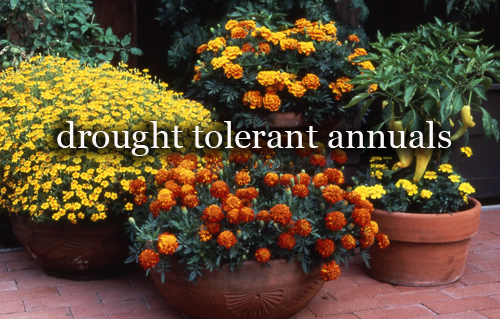 It's time to start filling in your garden containers with flowering annuals. If you are one of those people who love to look at potted flowers but don't have the time to devote to daily watering, then these are the flowering annuals for you! As long as you give them sufficient water soon after potting, these flowers can withstand poor moisture conditions. Don't forget to check the height of each flower variety before potting. Tall ones go in the middle and short ones around the sides. Cosmos and zinnias are favorites because they bloom all season long and make the best long lasting cut flowers. You see that beautiful flower pot that you want to purchase and take home to fill with all your favorite Spring flowers and then you look inside and guess what? NO DRAIN HOLE! What do you do? 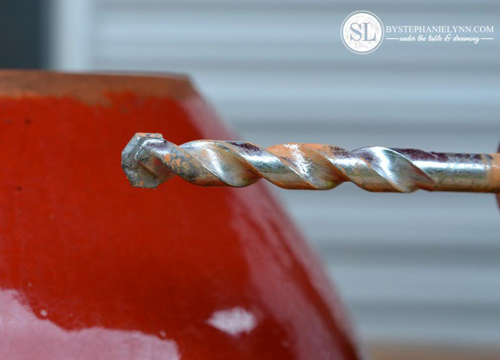 Well there are many different ways of drilling a hole in the bottom of a ceramic flower pot but we saw this one from Stephanie Lynn and thought we would share it here. The key to properly drill drainage holes is using the correct drill bit. 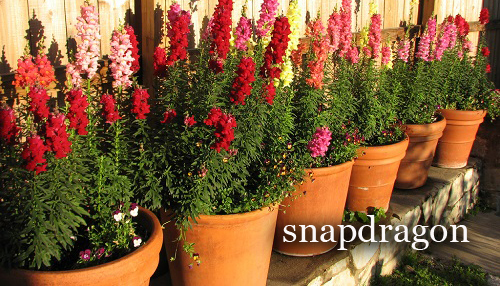 Many of the ceramic containers intended for plants are make from soft terracotta clay. These containers can be found either glazed or left in their natural state. Both can be drilled - though clay pottery is the easier. Basically, for unglazed terracotta and ceramics - masonry drill bit is used. Harder, glazed surfaces - glass and tile bits are used. Masonry drill bits come in various diameters. The tip is slightly larger than the actual drill bit itself. These can be found in most hardware stores. Glass and tile bits can also be found at a hardware store and are shaped with a spear pointed head. Both drill bits are not designed to be used on other materials so be sure to use them for their intended purpose. A piece of masking tape placed on the bottom of the container will help keep the drill from slipping. Drill at a slow steady pace since you don't want to crack the pot. Apply a very light touch, with slight pressure. Let the drill do the work. The ease of drilling will depend on the material of the container you are drilling. Just remember - Slow, Steady with just a bit of Pressure! Read more.....fragrant and fruity all potted. 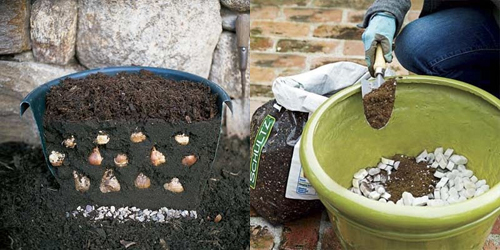 We have talked extensively on how to plant garden bulbs in containers but we saw this idea and thought we would pass it along. Instead of being selective and methodical when planting try this approach. The key they say is to be generous with your bulbs. For a large mixed pot, plant your bulbs shoulder to shoulder in a smaller plastic nursery pot, and then sink it into a larger container. The plant the fillers and spillers around it. 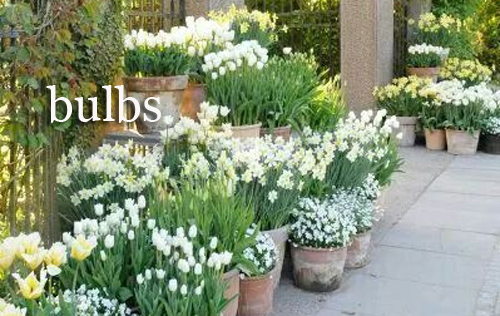 Remember how tall your bulbs will get. If you have a deep pot, fill some of the space with pine cones or packing peanuts before adding soil. This not only saves on the amount of potting soil you will need, but it also significantly reduces the weight of your container. Fill the pots with good quality potting soil to within a few inches of the rim. Never use garden soil, top soil, peat humus, or cow manure. These products are too heavy and drain too slowly. For the best show, plant lots of bulbs. Place the bulbs close leaving no space between them. 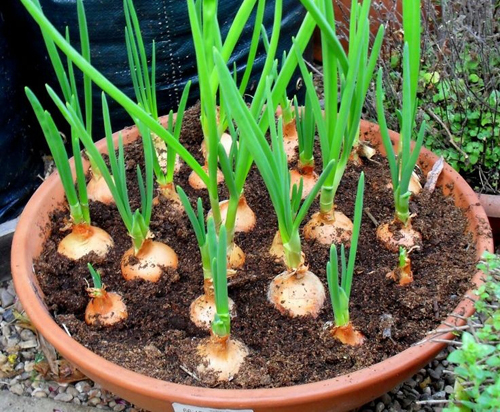 Then top off with more potting soil so the bulbs are just slightly below the surface. Water each container thoroughly, and finish with a layer of mulch such as mini pine bark nuggets. 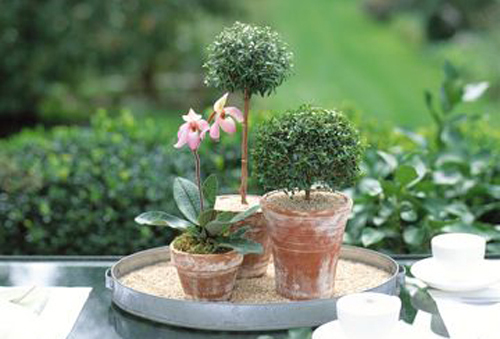 Leave pots outdoors for winter chilling. The more exposure to cold the bulbs get, the better they will bloom.